Sanyo bundles eInstruction Software with its PLC-WL2503 Ultra Short Throw LCD Projector with the hopes the combination brings interactive functionality to the classroom. It enables instructors to add handwritten text and graphics to projected images in real time, regardless of the surface on which the image is projected. 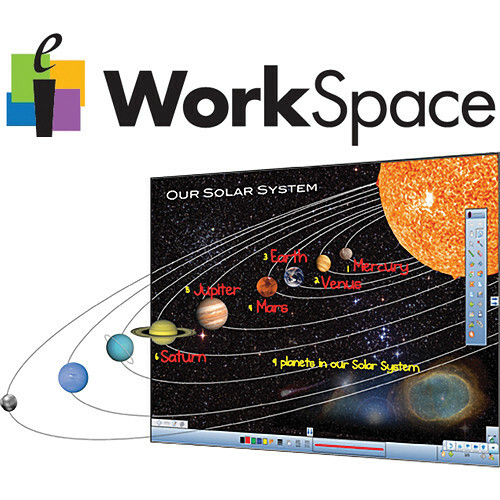 The software package created by industry-leader eInstruction includes Workspace, the Workspace Content Gallery and Workspace Language Packs to support uses of the software in more than 40 languages. Box Dimensions (LxWxH) 9.8 x 7.6 x 0.3"